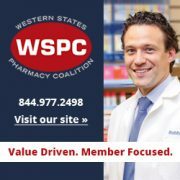 In an effort to strengthen the performance of continuing education (CE) providers and expand the availability of CE coursework to pharmacy professionals, the California State Board of Pharmacy adopted specific regulations governing CE programs (California Code of Regulations – Division 17, Title 16, Article 4). 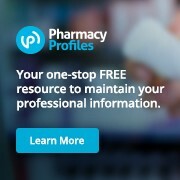 According to the California Code of Regulations, providers of CE for pharmacy professionals in California must be accredited by either the state accreditation agency, California Pharmacists Association (who oversees the California Accreditation for Pharmacy Education – CAPE) or by the national accrediting agency, Accreditation Council for Pharmacy Education (ACPE). CAPE, originally formed as the Accreditation Evaluation Service (AES), is a division of the California Pharmacists Association. Our aim is to maintain the high performance of CE providers and expand the availability of CE coursework to pharmacy professionals in California. To learn more about the CAPE application process and accreditation requirements, please read the following. Who is eligible to seek recognition as a CAPE Accredited Provider? Any organization* that is responsible for the development, implementation, evaluation, and quality assurance of CE for pharmacy professionals is eligible to seek recognition as a CAPE provider. Providers are accredited once they have successfully completed the CAPE application review process. 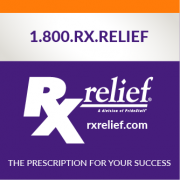 * Due to the Pharmaceutical Research and Manufacturers of America (PhRMA) and the Office of Inspector General (OIG) restrictions on continuing education programs sponsored by manufactures, CAPE will notaccept applications from pharmaceutical and biomedical device manufacturers seeking accreditation as providers of continuing education. How will an applicant’s qualifications be evaluated by CAPE? Since there is no site visit on which to base an accurate first-hand assessment, CAPE must identify strengths and limitations of the organizational framework based on data provided in the Application Form and the Provider’s Policy & Procedure Manual. All applicants are required to develop a Provider Policy & Procedure Manual (based on the CAPE Standards of Practice for Recognized Providers of Pharmacy Continuing Education) which presents pertinent information that reflects an applicant’s ability to offer quality coursework. To assist applicants in developing a manual that meets the application requirements, 1 copy of CAPE’s Continuing Education Provider Policy & Procedure Manual Template is included in the New Provider Application Fee. The template provides the outline and the Standards of Practice that are required in the Provider’s Policy & Procedure Manual; in addition, over 30 examples have been provided to help applicants customize a manual for their own organization. Applicants must request their copy of the template: Click here to request by email or contact CPhA staff at (916) 779-4524. How should the application package be submitted to CAPE? Applicants should submit the following items in one package to CAPE: a completed Application Form: one copy of their Provider Policy & Procedure Manual and the New Provider Application Fee. The arrangement of topics in the Provider Policy & Procedure Manual must be in the identical subject sequence as set forth in the CAPE Standards of Practice for Recognized Providers. The Roman numeral and alpha subhead must be referenced prior to the statement that addresses each respective topic, as shown in the CAPE Standards of Practice document. All of the CAPE Standards of Practice should be included in the Provider’s Policy & Procedure Manual and stated exactly as they are listed. The Provider’s own policies and procedures should then be incorporated to show how the Provider will stay in compliance with the stated CAPE Standards of Practice. The manual must be submitted in a typed form and each page must have an adequate margin on all sides. The manual must have a table of contents and all pages must be numbered. Only 1 copy of the manual should be submitted, either by mail or by email. Faxed documents will not be accepted. The application review process will be conducted by CAPE on a flow basis (first-in, first-out). Reviewing the Provider Policy & Procedure Manual is a very important part of the process and may take longer to assess if the manual does not contain all of the required information. Incomplete manuals will be returned to the applicant with notification of the area(s) that need to be rectified. Once the application review process has been completed, CAPE will notify the applicant of the decision regarding accreditation status. What are the fees associated with the application process and being an accredited provider? Please review our Current Fee Schedule for application and accreditation fees. What is the duration of provider accreditation? Providers are required to seek renewal of their provider status on an annual basis. How does an accredited provider notify CAPE about their new CE courses? In order for CAPE to monitor accredited provider CE activities, each provider must submit a Notification of Coursework Form at least 15 days in advance of the first time each new CE course is offered/presented. Failure to submit notification in a timely manner may jeopardize the provider’s accreditation status and coursework submitted by providers with an “inactive” status will not be approved. Courses will be valid for up to three (3) years, commencing with the date the course was first presented or made available as an independent study offering, as long as the information is still current. Are accredited providers required to submit complete course packages for review? Good Standing: Provider is deemed to be in compliance with the CAPE Standards of Practice and the accreditation term will continue for 2 years. Provisional Status: Several areas require improvement for compliance and quality assurance (includes not responding to the renewal/audit notification(s) in a timely manner); the Provider will be granted a “Provisional Accreditation Status” while working on improving the specific areas noted. A review of these specific areas will be required within 6 months and, depending on the violation(s), a second audit may also be necessary. A formal review of the Provider’s Policy & Procedure Manual will also be required. Inactive Status: Numerous violations of the CAPE Standards of Practice and/or the California Code of Regulations (includes failing to respond to the renewal/audit notification after 3 attempts); the Provider’s accreditation privileges will be revoked and provider number made “Inactive” until further notice. What other requirements are expected of accredited providers? Accredited providers are required to comply with all of the CAPE Standards of Practice for Recognized Providers of Pharmacy Continuing Education in order to keep their accreditation status in good standing. By adhering to the Standards of Practice, providers demonstrate that they have the capability to provide quality continuing education programs for California pharmacy professionals.